Redmi Note 7 New Branded Xiaomi Mi Redmi Note Series Launched on 28th Feb 2019 At New Delhi. While we are all set to launch Redmi Note 7 on 28 Feb 2019 at New Delhi, India, It is your chance to experience the #ԀW8ᔭ beforehand. 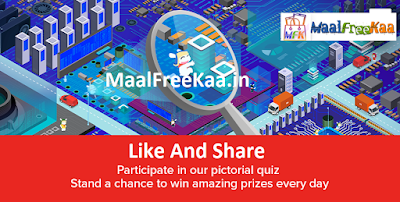 Participate in our pictorial quiz & stand a chance to win amazing prizes every day. Guess the correct Xiaomi product in the correct order from the image below and submit your reply below in the comments. Replies are hidden and can only be seen by admin. Every day we will choose one winner based on the method mentioned above, a day ends on midnight. A valid answer is one with the correct product name in the correct order. The winning reply, on any day, should have the valid answer, if not the subsequent valid entry will be considered as a winner. A person can win only once during the entire duration of the contest, in case of a situation with a user winning more than once, only first will be considered and next subsequent entry will be considered for the winner. Each user can reply up to 3 times each day during the entire duration of the contest. 28th Feb - 1st March - we will announce the winners and original images. Contest LINK REMOVED-- wait for next update.